Cape Town Tourism has returned from a successful Indaba 2014, which saw the Western Cape�s Gold Award-winning stand showcasing various facets from across the region, in partnership with Wesgro. Enver Duminy, Cape Town Tourism CEO, was among the panelists at the Tourism Cities at Indaba Conference - attended by tourism businesses, authorities and academics. Consistent with South African Tourism�s theme for Indaba 2014, �Twenty Years of Freedom,� the event examined the explosive growth in tourism over the past two decades. Looking at travel trends will shape the next twenty years in tourism and Duminy noted that social and mobile continue to shape tourism�s future. The popular Indaba Tech Zone showcased plenty of exciting innovation and ideas that signaled the importance of innovation. A study by Grant Thornton and the City of Cape Town (2013) revealed that the economic value of tourism in Cape Town for 2012/13 was around R11.9 billion and that, at the time, there were around 34 600 permanent employees and 15 000 temporary employees employed in Cape Town�s tourism industry. Cape Town is committed to ensuring that the next twenty years will also mark an even greater shift towards economic equity for tourism. 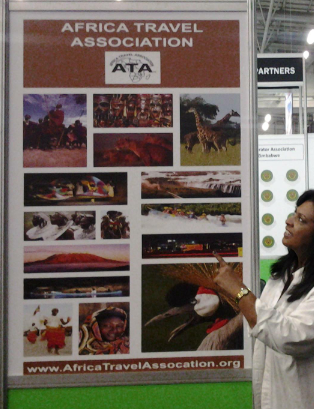 Global leader Reed Travel Exhibitions (RTE) has announced that it will launch �Africa Travel Week� at the Cape Town International Convention Centre (CTICC) to run from April 28 to May 3, 2014. The event will comprise three co-located shows � WTM Africa, IBTM Africa, and ILTM Africa - encompassing Africa�s inbound and outbound markets for general leisure travel, luxury tourism, and the MICE/business travel sector under RTE�s established portfolios of WTM (World Travel Market), ILTM (International Luxury Travel Market), and IBTM (Incentives, Business Travel & Meetings). �Reed has been exploring opportunities in Africa for some time, and the success of our first launch event, ILTM Africa, has given us the platform to now introduce two more of our global industry brands to create �Africa Travel Week� and make it the leading global event for the continent�s travel industry. WTM Africa will attract exhibitors from all categories of the leisure travel industry within sub-Sahara Africa as well as North African destinations, aligning itself with sister events, WTM, WTM Latin America, Arabian Travel Market, and International French Travel Market � Top Resa. IBTM Africa will be a table-top summit located in the West Ballroom, adjacent to the exhibition hall in the CTICC. It will target the inbound and outbound meetings, events, incentives, and business travel sectors of sub-Sahara Africa, with suppliers from the MICE sector including hotels, venues, convention bureaus, DMCs, technology providers, and suppliers of services. IBTM will reflect the brand values of its sister events CIBTM (China), EIBTM (Europe), GIBTM (Middle East), AIME (Australia), AIBTM (US), and IBTM India. 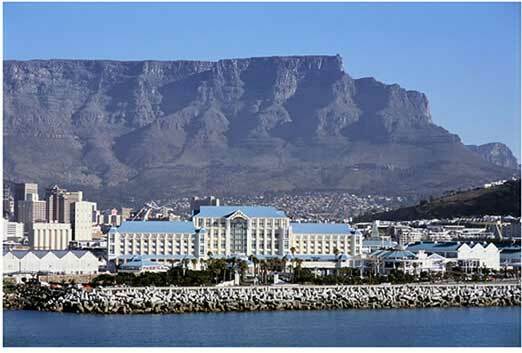 ILTM Africa will be the second edition. A table-top summit located in the East Ballroom of CTICC will, in line with its successful launch, target Africa�s inbound luxury travel market. ILTM Africa is part of a global portfolio of luxury travel events that include ILTM (Cannes), ILTM Americas, ILTM Asia, ILTM Japan, and ILTM Spa. Both ILTM Africa and IBTM Africa will operate with a pre-qualified Hosted Buyer program and a pre-scheduled appointment system. WTM Africa will combine a Hosted Buyer and appointment system with a trade visitor program. Africa Travel Week will be supported by Thebe Exhibitions Group, based out of Johannesburg. "We will be working with Thebe as our local management services contractor to provide logistics, operations, and local sales and marketing services," added Mortimore. It was a proud moment for all South Africans when the official inauguration of Table Mountain as one of the New 7 Wonders of Nature took place at a ceremony held at the foot of the mountain on Sunday, December 2, 2012. Patricia de Lille, the Executive Mayor of Cape Town, unveiled the New 7 Wonders of Nature plaque in front of 41 international delegates and said the title would bring tremendous direct economic and socio-economic benefits to South Africa and the Mother City. Bernard Weber, Founder-President of the New 7 Wonders Foundation, said the inauguration marked the culmination of an inspiring campaign of which all South Africans could be proud. �Table Mountain is not only a spectacular backdrop for Cape Town, one of the most beautiful cities in the world, it also offer visitors the unique experience to actually walk on top of the mountain and enjoy the most awesome panoramic views,� said Weber. Global wide voting in the New 7 Wonders of Nature closed on November 11, 2011 when the provisional New 7 Wonders sites were announced. The inauguration follows an international audit which confirmed the voting results. Sabine Lehmann, Cableway MD and Chairperson of the Table Mountain Official Supporters Committee, said the economic impact of the accolade was already being felt by the Cableway. �We have had a record November, the best in ten years,� she said. The African icon was the sixth site to host its inauguration ceremony following the Puerto Princesa Underground River, the Amazon, Jeju Island, Halong Bay, and Iguazu Falls. The seventh site, Komodo, will host its inauguration ceremony in 2013. For more information about Table Mountain�s official inauguration as a New 7 Wonder of Nature, visit www.tablemountain.net or follow @tablemountainca on twitter. On this and a growing number pages in this section on South Africa, we will bring our members and visitors items of interest and provide useful links in planning your trip to South Africa. If you are a Travel Agent, we will mention some of ther great local personalities you should connect with, such as Selwyn Davidowitz, a professional travel guide who has written some great items of interest about the city called " I Love Cape Town. You'll find a selection of Selwyn's love notes on its own special page and at random locations throughout this site. Be sure to sample the nation's award winning wines during your stay. South Africa's vintages are among the world's best. Some specialties include lovely Chardonnays, Pinot Noir, Merlot, Cinsault, Riesling, Shiraz,Sauvignon Blanc, Caberbet Sauvignon and Pinotage varietals. You will find that one of the most pleasant ways to enjoy South African wine is on a visit to the scenic wineland of the Western Cape. Few places in the world are as stunning as these lush valleys. Towering mountains are a dramatic backdrop for the rows of grapevines and giant oaks.